Osteopathy is a gentle and effective hands-on approach to healthcare, based on the principle that the way your body moves influences how it functions. 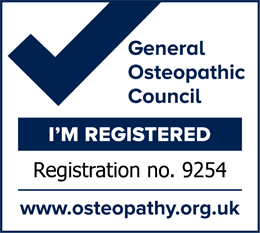 Osteopaths are highly competent healthcare professionals, recognised as Allied Healthcare Professionals by the NHS as being fully qualified to diagnose and treat independently. Over 30,000 people every day visit an osteopath suffering from a variety of conditions including neck or back pain, joint or muscular pain, sports injuries, recurring headaches and more. Osteopaths consider each person as an individual. Using general techniques they will work with your body to encourage the healing process and restore movement. As you don’t need a referral from your doctor to see an osteopath, you will typically be able to see James quickly, without the long waiting times that often occur with other treatment options. Whatever your age and no matter what challenges you may have with your health, there is probably something James can do to help. James uses a wide variety of gentle and effective hands-on techniques to physically treat your body. 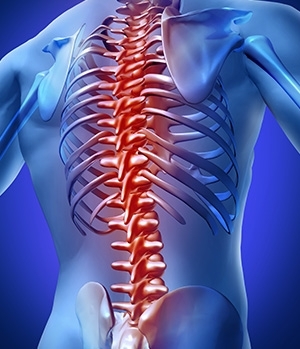 This may involve massage to help muscles relax, gentle and repetitive joint movement or techniques to encourage blood and lymph flow to help your body heal. Medical acupuncture can be a particularly effective way to treat muscle knots. Ultrasound can also be used to assist in the recovery of tendons. James will always discuss these techniques before treating and get your consent before proceeding. Treatment can be adapted to be very gentle or quite robust according to your preferences. Some patients do not like to be treated with techniques that create 'clunks' and 'clicks'. Whilst these techniques are effective and low risk, they are not for everyone and other techniques can be used. As with all techniques, James discusses this with you and will always get your consent before proceeding. 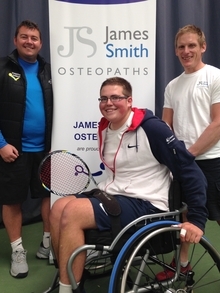 James has worked with male and female sports people of all ages and abilities. This includes golfers, wheelchair tennis athletes, rugby players, martial art specialists, runners, cyclists, horse riders, triathletes, swimmers, dancers, body builders and gymnasts. Some of his patients are preparing to enter professional sports teams and others compete at amateur national and international level. James understands how important being able to exercise and compete is to sports people. Full rehabilitation exercises are provided as part of the treatment and James is always happy to advise regarding training and nutrition. He trained with physiotherapists from Team Sky and Team Orica Greenedge to optimise bike set up in order to reduce injury. Please contact James if you wish to discuss any condition that does not appear on this list.